Is Steve Urkel a woman beater? We always think of former Family Matters star Jaleel White as the geeky Steve Urkel. However, the real guy is a real monster, according to his ex-girlfriend. Find out why he’s calling foul on the rumors. 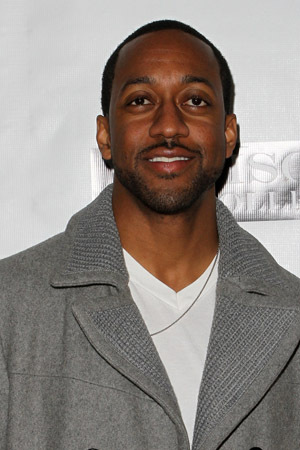 Dancing With the Stars frontrunner Jaleel White is fighting back against rumors that he beat up his baby mama. His ex-girlfriend, Bridget Hardy, recently told Star magazine that the man formally known as Steve Urkel “hit me across the chest area” and “pushed me into [a] toilet” while fighting about their daughter. He went on to say that he’s not willing to get into the allegations, just that it hurts him to hear the rumors go out into the public. “Bridget Hardy is the mother of my only daughter in this world and without Ms. Hardy I would not have the treasure that is my daughter. God knows the truth… I ask for your sensitivity during this time, I can assure all of my fans this is only residue from a child custody matter,” he said. “As much as I would love to go detail for detail refuting Ms. Hardy’s claims about the specifics of what was our relationship, the family court judge made it very clear to me any public discussion of our case and ordeal would be held against me in a court of law,” he said. White also worries that his daughter will one day read about the fight on the web. “My only hope is that when my daughter Googles her parents one day in her future, she sees that her father acted with class and dignity when pressed to the fire,” he added. He does have a good attitude about it, though — even joking that he doesn’t think Hardy is in his corner for the new season of the hit ABC reality show.